Quakers believed in educating their daughters as well as their sons. A teacher before her marriage, Esther Lewis began her children’s education at home, then sent them to a Quaker school two miles away from the farm, the Kimberton Boarding School for Girls in Kimberton, Pennsylvania, where teacher, botanist and reformer Abigail Kimber had a strong influence on her. I inherited from my mother a strong love of nature, she having guided our attention in this direction from our early youth. Graceanna’s grandfather, Dr. Bartholomew Fussell, studied medicine in Baltimore. While he lived in the city, he opened a Sabbath school for African American children, teaching as many as 90 students at a time. When he returned to Pennsylvania to practice medicine, he made his home a station on the Underground Railroad, where slaves escaping through northeastern Maryland could find food, shelter and a place to rest. Esther Lewis followed her father’s example, and became a role model to her children in social activism by allowing the Lewis home to be a station on the Underground Railroad, sheltering fugitive slaves seeking freedom in the northern states and Canada. Following her mother’s death, Graceanna made her own home available to runaway slaves, secretly providing overnight accommodation for as many as 11 at one time. The receiving and passing on of fugitives, was not all they had to do. Often it was necessary to fit out whole families with clothing suitable for the journey. In cases of emergency they would sometimes gather a sewing-circle from such neighboring families as could be trusted; and, with its help, accomplish rapidly the needed work. One instance is remembered, of a woman, with her little boy, whom they put into girls’ attire; and, changing also the woman’s dress, sent both, by cars, to Canada, accompanied by a friend. Following the completion of her studies in 1842, Lewis entered the teaching profession – one of the few fields open to educated women at that time, taking a position as a teacher of botany and chemistry at a boarding school in York, Pennsylvania. Graceanna did not immediately enter the sciences, but became a teacher, one of the only ways that young women could earn a living for themselves. devoted herself entirely to her family and to social reform. Abolitionism took up a good part of her life, but once the Civil War ended and Emancipation had been declared, Graceanna Lewis turned to science at age thirty-nine, and devoted the second half of her life to science, particularly botany and ornithology (the study of birds). During the 1850s she moved to Philadelphia, where she worked closely with a small circle of Quakers who were active in the natural sciences. In 1862 she met John Cassin, America’s leading ornithologist and curator of birds at the Academy of Natural Sciences in Philadelphia. Cassin was also a Quaker and quickly became both an instructor and friend to Lewis, and she studied ornithology at an advanced level under his tutorship for several years. 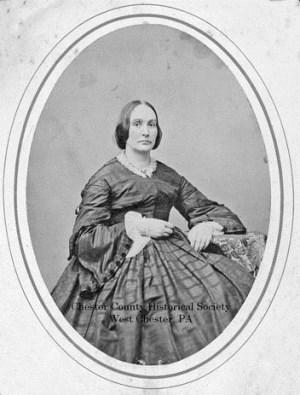 During the seven years (1862-1869) Lewis studied with Cassin, she was able to use the resources of the Academy, including both its library and its museum. 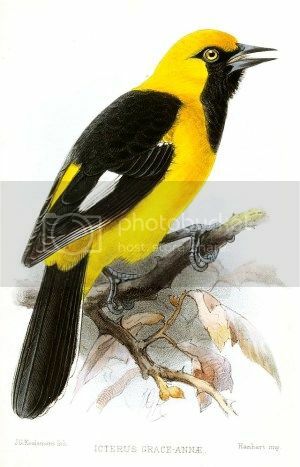 In 1867 Cassin honored Lewis by naming the White-Edged Oriole Icterus Graceannae in her honor. This is a species of bird in the Icteridae family which is found in Ecuador and Peru. Cassin’s description of the species first appeared in print in the Proceedings of the Academy of Natural Sciences, published in Philadelphia in 1867. Although women in the nineteenth century could participate in limited ways through scientific societies, there were few professional opportunities for a woman to work in science. Lewis was unsuccessful in her efforts to obtain a college-level teaching position, but she persisted nonetheless, impressing the most well-known figures of her time with her research and publications. During the mid-1860s Lewis began giving private lectures on ornithology in people’s residences while living in Philadelphia. Her “Parlor Classes” were $2 each for four sessions. In 1868 Lewis published the book The Natural History of Birds, the first of an anticipated multi-part publication. Unfortunately, her patron John Cassin died in 1869. She lost not only a friend and teacher, but access to the Academy of Natural Sciences, and she was unable to obtain a teaching position in the field which would enable her to further advance her work. In 1871 Lewis sold family land and used the proceeds to finance further research. She envisioned a set of illustrative charts demonstrating the relationship of the plant and animal kingdoms, but she was unable to keep pace with the rapid influx of new information, so the projects went unrealized. Held back by her lack of higher education and gender discrimination, Lewis gave lectures on naturalism and worked as a freelance scientific illustrator, by which she made her living. With such an unstable income, in 1870 she accepted a teaching position at the Philadelphia Friends School, where she would remain until the next year. Lewis resided with family members at certain periods throughout her adult life, as did many 19th century women with limited means of supporting themselves. After leaving Philadelphia, it appears that Lewis made her home with her aunt and uncle, Dr. Edwin Fussell and Rebecca Lewis Fussell, parents of artist Charles Lewis Fussell. In 1871, Dr. Fussell bought a medical practice in Media, Pennsylvania, and their family moved there. By 1875, Graceanna Lewis was living in Media, and giving lectures on zoology. 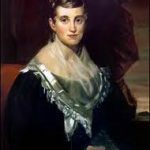 In addition to her work for abolition years earlier, she was active in the suffrage movement for granting women the right to vote, and for the temperance movement for the prohibition of alchohol in the United States. For the latter, she served as Secretary of the Woman’s Christian Temperance Union of Media, Pennsylvania. A talented illustrator, she displayed her botanical paintings at the 1876 Centennial Exposition in Philadelphia, receiving praise from British scientist Thomas Henry Huxley. During this period she also published papers in American Naturalist and Proceedings of the Academy of Natural Sciences. Lewis twice lectured at Vassar College, in 1874 and 1879. She applied for a number of academic posts throughout the period, including a vacant professorship of natural history at Vassar, but her lack of formal education beyond the high school level and gender discrimination in academia she was unable to land a teaching job at college level. Lewis instead returned to lower level teaching, working at the Foster School for Girls of Clifton Springs, New York from 1883 to 1885. In 1893 Lewis received a commission to paint a set of 50 watercolor illustrations of representative leaves of trees for the Pennsylvania Forestry Commission’s display at the Chicago World’s Columbian Exposition in 1893. Her charts of leaves were praised by the State Forestry Commissioner. The paintings were displayed again at the 1901 Pan American Exposition in Buffalo, New York, as well as the 1904 Louisiana Purchase Exposition in St. Louis. Disheartened by his own lack of success, Charles Lewis Fussell returned to Media around 1897, where he resided with his Aunt Graceanna and his unmarried sister Anna Esther Fussell at their home at 402 Gayley Street. 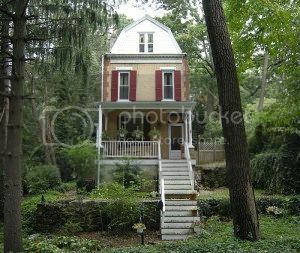 He lived a withdrawn existence there, occupying his time by painting the landscape around Ridley Creek and giving art lessons. The 1900 US Census lists Graceanna Lewis as still living at the house at 402 Gayley Street with her niece and nephew. The census lists her occupation as a naturalist. A plaque at the house states that Charles Lewis Fussell spent his most productive artistic years while living there with his aunt. Fussell died in Media in June 1909, and was buried in Providence Meeting cemetery. Graceanna’s adopted daughter Ellen, whom she had raised since Ellen was a nine-year-old orphan, had by then married and become wealthy. Grateful to her mother, Ellen sent regular funds, and the women shared her summer house at the seashore in Longport, New Jersey. Therefore, it appears that Graceanna’s last years were happier, without the constant need to earn money to support herself. 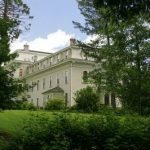 The Lewis-Fussell Family Papers collection at Swarthmore College in Swarthmore, Pennsylvania includes Graceanna’s writings and drawings relating to the natural sciences, as well as an unpublished manuscript of a memoir of the Underground Railroad. Of particular interest is her correspondence with a cousin concerning a school for black children at which he was teaching.